ZombiU was originally released exclusively for the Wii U on November 18, 2012. It's no shock that the title was not immensely profitable, considering the Wii U itself wasn't extraordinarily popular either. However, Ubisoft may be porting the zombie survival Wii U exclusive to the PlayStation 4 and Xbox One, according to recent game ratings provided by Ubisoft. Taiwan's Game Software Rating Regulations board recently rated a title called Zombi for the PlayStation 4 and Xbox One, and is supposedly being published by Ubisoft. 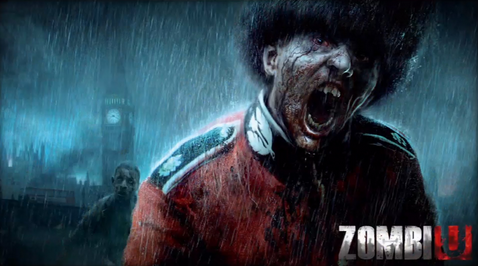 Additionally, the listing included artwork for the game, and the ZombiU logo, which was simply reduced to Zombi. Zombi was also rated by Australia's Classification Board strictly for the Xbox One. Could this mean that Ubisoft is porting ZombiU to other consoles, or could this be a completely different game with a totally new and original story plot? I was personally aggrieved when I found out ZombiU was going to be a Wii U exclusive, so I am quite excited for this port. Of course, this is currently just a rumor, but it is pretty obvious what Ubisoft is doing. How many of you will be purchasing a copy of , if this rumor turns out to be true? Leave your comments and concerns below. Zero and Cakes like this.